HTST treatment kills almost all bad bacteria present, but the nutritional value and taste stay intact. When packaged milk was first introduced in Pakistan in 1981, the idea wasn’t welcome. In general, people thought packaged milk was not as healthy as loose fresh milk. An aggressive campaign was needed to change people’s minds. How many of you remember the documentary aired on national television showing how free from germs and bacteria Tetra Pak milk is? Today, I can say the campaigns succeeded. Lots of people have converted from traditional, loose, fresh milk provided by dairy farms. The packaged milk industry has evolved and there are many players in the industry. But while the industry matured, did any of these companies evolve ethically as well? What is packaged milk in Pakistan? All leading packaged milk brands in Pakistan are UHT (Ultra Heat Treatment) treated. UHT involves heating milk at a temperature of 135 degrees Celsius (which is above boiling point) for a few seconds and then cooling it down. What happens when milk is heated at such a high temperature? It loses its nutritional value, taste and smell. True, micro-bacteria are killed in this process, but we should also be aware of the fact that not all bacteria are bad for us and this process also kills the good ones. Once going through the UHT process, the milk we buy has an artificial smell and taste added to it. What I don’t know is whether additional nutrients are added to the milk or not. The process also involves homogenization, which ensures that milk and water are not separated (so curdling doesn’t happen). In a nutshell, the milk provided to us is nothing but treated liquid sold as milk. The milk is then packed between five to six layers of cardboard, polythene and aluminum sheets. This is done to preserve the milk for a longer period of time. The shelf life of milk in Tetra Pak is six to nine months and can be kept at room temperature without curdling. It doesn’t curdle or get contaminated because it is kept away from light and bacteria. However, this is not healthy. Tetra Pak packing has been found to release chemicals in to milk such as urea. And of course it is also simply not fresh. No, sadly, we do not have any alternative. This does not mean we start consuming loose milk. I am aware of the fact it contains bacteria. Aside from the fact that hygienic methods of milking are not practiced in Pakistan, the containers for loose milk are not clean and we are can never be sure how much milk we use is actually water. The solution lies with consumer groups and health organisations providing us with UHT milk. Across the world the preferred method of pasteurization is HTST ( High Temperature Short Time). This process involves heating milk to 75 degree Celsius for 15 to 20 seconds and then cooling it down. This kills almost all bad bacteria while nutritional value and taste stay intact. This milk can be preserved for up to a week or two in a refrigerator. However, in Pakistan the weather allows the milk to be kept for only 4 to 6 days in a refrigerator. As far as I know UHT milk is not used anywhere else in the world, not even in India. Amul and Mother India both provide consumers with HTST milk. Unfortunately, not a single company in Pakistan employs this method of pasteurization for milk. But why? If they charge consumers for healthy milk why don’t they offer it? Firstly because HTST milk has less shelf life. As it requires refrigeration, storage conditions are limited. Why should these companies spend extra money when people are so easily fooled with the name of UHT and have no awareness of HTST milk? Thanks all for appreciation ! Thanks to you Afia we are now aware of this.. Next time im offered milk, i’ll have a better excuse. Not convincing and research on the subject appears wishy washy. a very nice article and very well written. And thanks for giving us the awareness about the UHT Milk i heard this thing on TV once that UHT milk contains Urea and now i know how it is contaminated with UREA. And Yes Millac is providing us with HTST thats y it has its own stores for Milk. I m seriously thinking of converting to millac now. 4) Packaging cannot release urea as it does not have any chemical elements that can form urea. 5) Pakistan is a developing state… Carton packaging for milk drinking is used all over the world and they have all the consumer protection council and laboratories to ban this product. Dear fly hi you look like you are working for tetra pack. 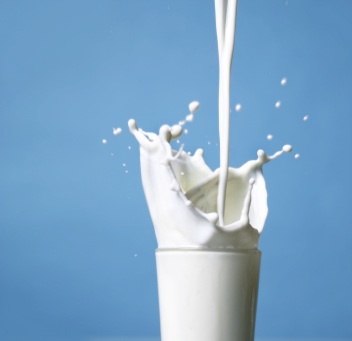 This article is a great piece I see its scrutinizing uht milk not tetra pak. Moreover she has said it right they were so persuasive in documentary that its most hygienic milk although they are also fraud. I dont find you convincing . I also researched homogenization and found it way to keep milk from curdling so that milk is preserved. Secondly the shelf life maybe 3 months in pakistan due to climate. . Thirdly I have lived in uae myself and found people there looking for date specially while purchasing milk because they want freshness. They discard milk even 2 days old so I seriously think whether 3 months or 6 it doesnt matter. In response to your question about evolving ethically i want to say we are an ethically deprived nation. i think before ethics of the companies,its the responsibility of the state to ensure that no company can launch any product unless the certain standard are met,countries of the world have their own standards and they have setup special authorities which not only ensure that standards are met but they also conduct their own research own behalf of the consumers,i dont know here is Pakistan any authority scrutinize these products before they actually produce it on such a large scale. As a nation we believe what TV says, and later we curse them. Actors are paid.. Tomorrow some milk producer can pay them and they will speak good about it. Why I know this is because I got it arranged for one company as their media agency and the whole electronic media was talking good about Packed milk. Suddenly they contacted me to laision with milk companies to give them business through ads otherwise they will initiate negative campaigns. UHT MILK IS A GLOBAL PHENOMENON NOT LOCAL. IT IS THE LARGEST CONSUMED MILK IN THE WORLD. SO WHY WOULD COMPANIES LIKE NESTLE, HALEEB AND ENGRO WILL GET INTO A BUSINESS THAT IS DANGEROUS FOR THE PEOPLE. REMEMBER YOU ARE TALKING ABOUT BIG MULTINATIONAL AND LOCAL GROUPS. Don’t quit your day job for investigative journalism. You will make a lousy one. If you would have just type UHT in Google, there comes a link from Wikipedia that shows the number of countries still using UHT. Fly hi if only these multinationals had some responsibility. A man died during reality show of clearmen but unilever’s pr was strong enough to avoid any action against them. Walls is made out of vegetable oils and is not real icecream. Kfc chicken is breeded in unhealthy ways. Should we stay quiet mr fly because they are multinationals . No am sorry. We have to take step otherwise it might cost us lives. I truly respect your criticism Mr Saad. I deliberately didn’t mention millac but i have mentioned earlier in my article that all the leading companies in Pakistan employ UHT . Please read it again. As for HTST being nutrition less also. I guess you need to do some more research on your own just don’t stick it to Wikipedia and other sites which even 5th graders can make their access to. I recently moved from the US and have used UHT milk in a limited sort of way. I find the viscosity and texture of the UHT milk very different from unprocessed milk. In all 50 states and Canada it is a legislative requirement to add back vitamins A and d lost in the homogenization and pesturization process. I love milk and like to drink it straight from the fridge. Besides the taste and nuturational questions I find the cost exorbitant. Here is some thing else to consider: I was buying one US gallon (3.85 litres) of milk for $2.49. I am paying $2.80 for the same quantity in Pakistan. (Rs. 62/litres x 3.85/Rs. 85/dollar) Considering the cost of labour and production and general level wages in Pakistan this is a huge rip-off. I think you are misinformed. Haven’t you heard of Millac Pasteurized Milk? It is sold in only Millac outlets and It expires in 3-4 days (kept in their refrigeration storage) and also Millac is not UHT at 135 Degrees..It is heated at 75 Degrees. NABEEL Same goes for you that not everything is worth publishing . Do you really think i should have mentioned millac in the article? I am not here running a campaign for millac! all the leading companies in Pakistan employ UHT . Please read it again. Now if you had done your proper Market research, you would have known that Millac sells HTST in Karachi, well it has been here for 2 years now. Even in 1990s, there was a company who tried selling HTST in Karachi, cannot remember the name but it was associated with Coca Cola. Now if you think that Millac is small town, then you have erred big time. Millac has been there for ages. Its powder milk business is second to Nido. First, I made a open-ended question which could have been answered with links and resources. Fine, I admit I did not fully research my part, but its not me who is blogging and I did end up on links like this one. To your information, the following research is Pakistan-based. All leading packaged milk brands in Pakistan are UHT (Ultra Heat Treatment) treated. Afia, Millac is two varieties, packaged and powered. Why don’t do you put your research on Scribd? Don’t make it available to download. Rest assure, I got your point clearly. However, you stress upon HTST which I believe would be a better option for all of us. For now, the world has UHT. Its good that you have debated it out. Though I am not a big fan of your writing, but you should be praised that you answered my doubts and initiated a good debate. Hope to see a new analysis soon and then we can debate it out. Initially while going through the comments and your replies I was thinking of not reading your blogs anymore because of the callous attitude towards the correction of mistakes. However your last comment changes things. I second Saad and Rehaana! Dear Afia, I read your article with interest. Milk, without any doubt, is an integral part of our daily diet. As a professional nutritionist, I am generally in favour of fresh foods specially fruits and veggies. As far as milk is concerned, I prefer using and recommending packaged milk, for the simple reason that it is convenient and more nutritious. Additionally, it is not exposed to moisture, bacteria, air and ultraviolet light, all of which can cause quality deterioration and compromise food safety. This is because of the technology that is used to pack milk i.e. Ultra High Treatment or Ultra High Temperature and 6-layered packaging. You can Google these terms to understand them better because I think this is the basis of the misunderstanding. Just because milk is heated at a high temperature for a very short time does not mean it loses its nutrition. On the contrary, there are studies, both local and international, which prove that packaged milk is more nutritious than ‘loose’ milk which is generally full of adulterants and chemicals. Half of the detail is correct mention above, regarding tetra and loose milk is unhealthy is correct. But the are some companies i know are providing fresh healthy and safe milk which is Pasteurized milk, anyone like to know the detail here is the number that can be confirmed. Dear Nosheen Aziz, i like you to search more about UHT milk first of all search that mineral, vitamins and other nutrition in the milk all have boiling point or evaporating point below 135 C.
the biggest problem i see in the lack of coverage of pasturised milk is the fact that the masses of the country dont have the purchasing power to afford it since it pasturised milk would require constant refrigeration in shops which is not possible due to the lack of electricity plus even if there was electricity there would still be a sizeable amt of expired stock due to short shelf life which the shopkeepers will have to recover by increasing the price of it hence making it out of the average consumers reach…also u need to account for the transportation costs in refrigerated trucks etc…. Well Afia what an interesting and real story you have written, a big fact! Can anyone write well researched articles???? really can you not name a single pasteurized milk company in Pakistan….maybe you should use google more often or maybe READ.